With the launch of the new Taylormade Burner 2.0 irons and the excitement around the THP Testing thread, we wanted to do something a little special. The buzz from the forum member testing is incredible and THP & TaylorMade want to let someone else experience this new set of irons as well. In case you have not seen the early feedback from our forum member testing, check out this thread. The winner of the contest will receive a brand new set of Taylormade Burner 2.0 irons customized to their specs and configuration of choice. Many of our readers are familiar with our “Scavenger Hunt” contests, but those that are not, it is really quite easy. We will ask 3 questions and each one of them can be answered by browsing through the TaylorMade website. Just simply click the banner located at the top right of our home page. Each entry that is submitted with the correct answers, will be entered into a random drawing to pick out a winner of this fabulous contest. The deadline of this contest is Wednesday, October 27th 2010 at 11:59pm EST. All entries must be received by then to be considered. This contest is open to THP forum members with a minimum of 10 posts and 5 in the last 30 days. If you are not a member, no sweat. The TaylorMade Golf website holds all the answers to the questions being asked. Find the answers to the questions in our Scavenger Hunt and email them and you could win this incredible set of irons. You can read the rest of information on this contest as well as see what the scavenger hunt questions are, by clicking the link below. Yet another tremendous contest put together by THP. You guys really know how to take care of your membership! Someone is going to be REALLY pumped on the 27th! I hope no one else get’s in on this, it would reduce my chances! I have been spending my morning, FINALLY, reading the THP tester reviews. From what I have read thus far, everyone should enter the contest, and HOPE!!! Now I’m getting Burner 2.0 fever all over again. Awesome contest! I hit these clubs this past weekend and liked them. I’d love the chance to past my current clubs on to my daughter and get her on the course. Good Luck to all that enter. this is incredible! I have hit these clubs and would love to game them. After feedback from the testers I can tell that these irons are the real deal. Thanks THP and TM. This contest is amazing. My entry is in!!! Thanks for another great contest THP and TM!!! Thanks for a great contest! some things on your website really caught my attention. Absolutely Amazing Contest – Thank you so much TaylorMade and THP: Would love to replace my Nike’s with these badboys. Truly Awesome! as one of the current testers i must say that whoever wins these will be thoroughly impressed, if not blown away. i want to take a moment and thank taylormade for offering a set to another forum member. i have no doubt that they’ll be as excited with the results they get from them as i am. this really is an incredible opportunity and it wouldn’t be possible without taylormade and THP. thanks for adding some fun and excitement to the forum! Another fantastic contest put on by THP. You my friends, are the best !! THP has the BEST contests. I would like to thank JB, GG and all at THP for a fantastic site. You have increased my computer time by 2 fold! I, like competergeek13, would love to replace MY Nike’s with these. What a sweet contest! From the short time I got to test these at the outing, I can safely say I want to win the “unstoppable eight” in a bad way. Thank you THP and Taylormade! 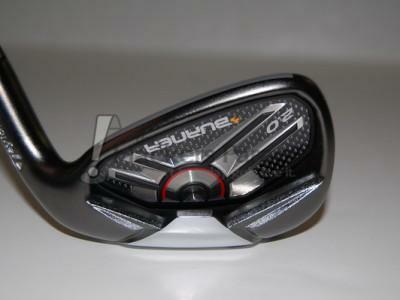 excellent contest, and I hope my TaylorMade contest luck is still strong within me. Awesome contest!! Thanks THP and TaylorMade!! What an excellent contest. Even if I dont win, these are on my short list of things to buy before next year!! Thanks THP and Taylormade for another awesome chance to game the best equipment! I am feeling pretty lucky at the moment! Awesome contest, Big thank you to THP and TAYLORMADE! I have always wanted to win contests……but after watching TC play these Burners today I REALLY WANT THEM!!! Thanks TM and THP!